What I've been reading on the trolley. So I recently discovered M.E. 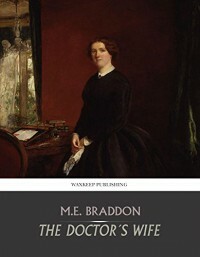 Braddon and read what I heard was her most famous work, Lady Audley's Secret. Which was a enjoyable read, definitely a little sensational (as it should be, for a novel about a missing person), and written in a style that feels more modern than many of Braddon's contemporaries. So I picked up The Doctor's Wife for more of the same. But The Doctor's Wife, in my opinion, is a much more thoughtful and interesting story. 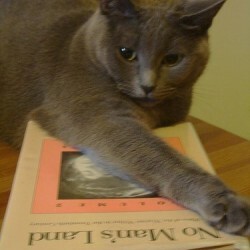 It is also chock full of funny, wry references to the art and literature of her era. With shades of Madame Bovary, the main character Isabel is an avid reader who has soaked up a great deal of Dickens as well as less moral authors. A dear friend of hers is a "sensation novelist" (a term that had been applied to Braddon in her time as well) who is prone to doing things like lying prone in fireplaces to see if you could fit a corpse in it. There is a Byronic hero, glittering duchesses, and plenty of gorgeous countryside. It can be a slow-moving tale at times, but because of one of the things I appreciated most about it: Braddon explores all the motives and contradictions and complexities of characters like her Byronic hero and her restless country wife, whose romance may be clicheed but who come into it and cope with it earnestly and true to their respective natures. I only wish their stories hadn't ended so abruptly--I would have liked to have seen more of what the Doctor's Wife did with her change in fortunes.